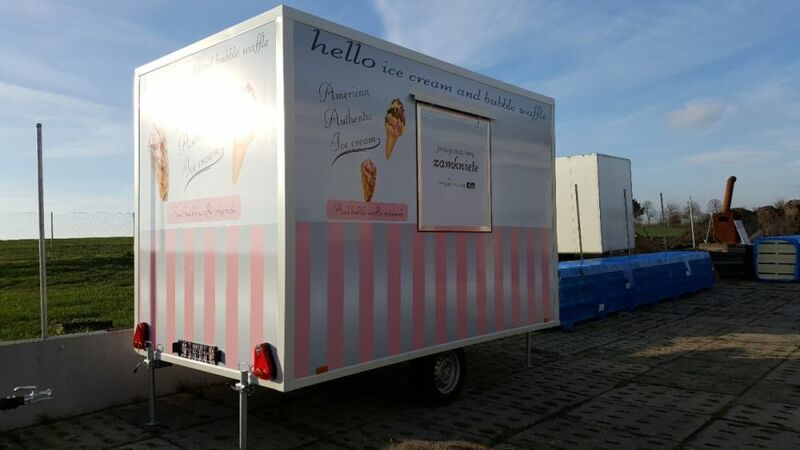 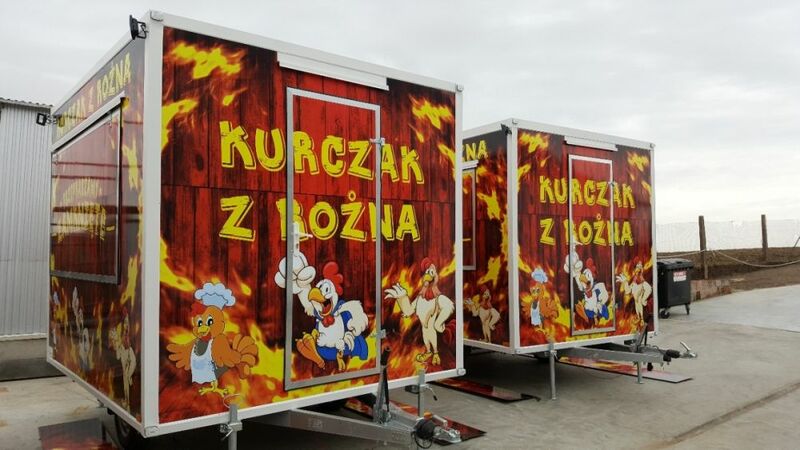 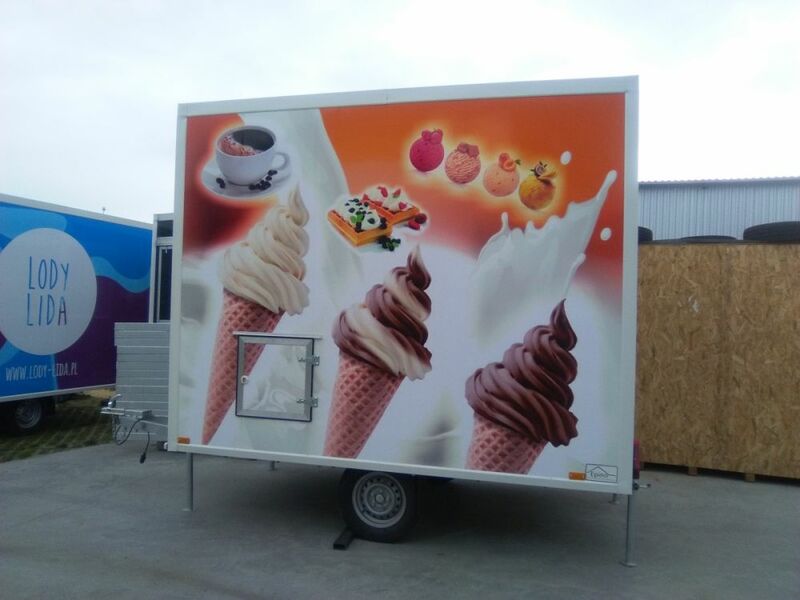 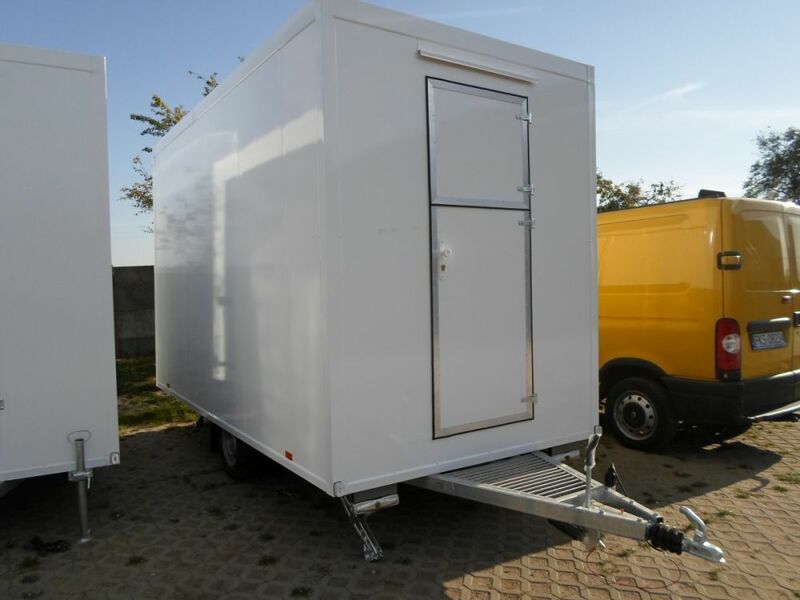 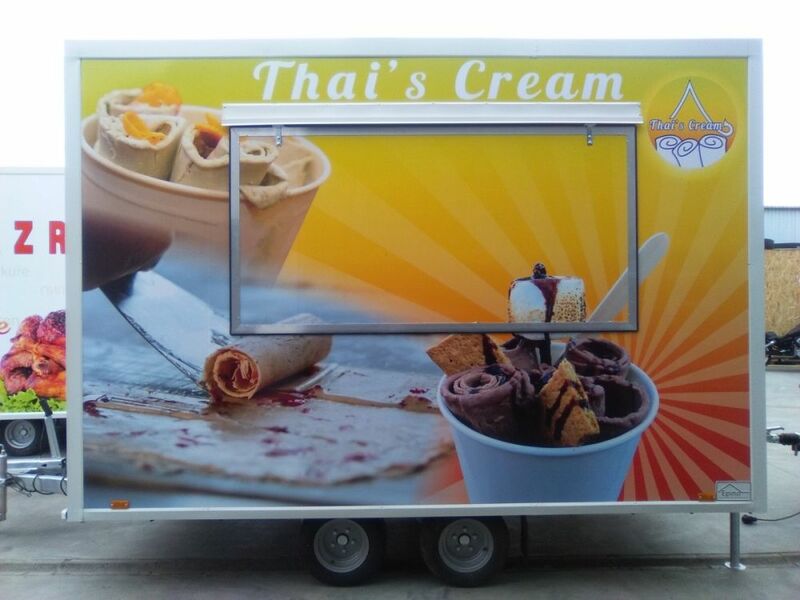 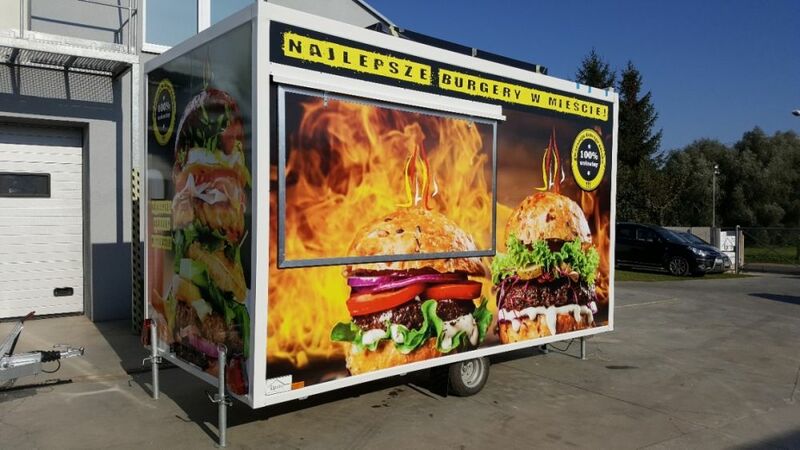 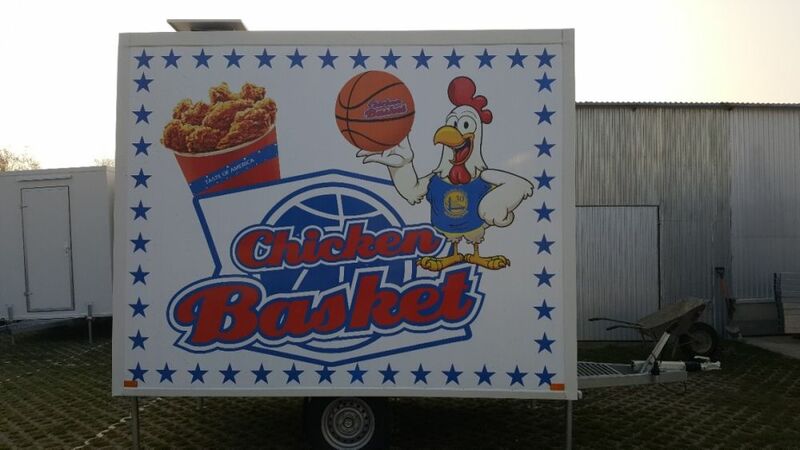 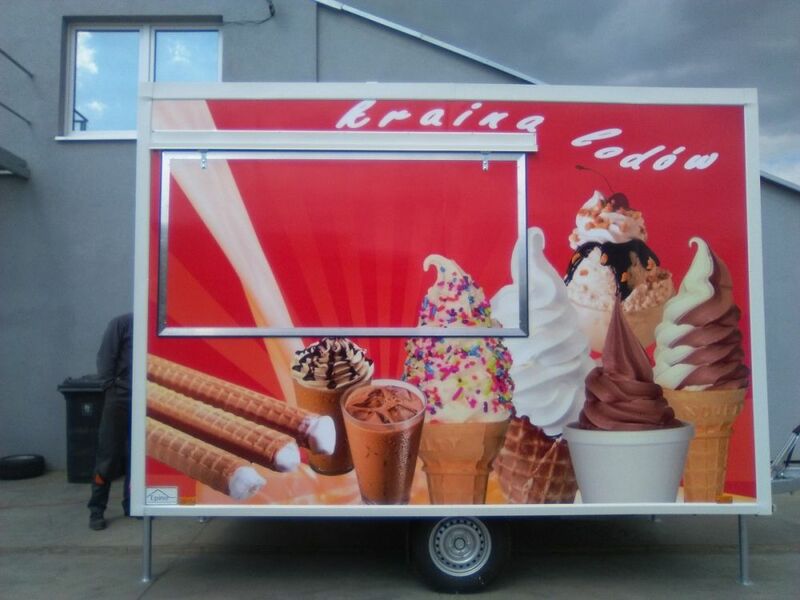 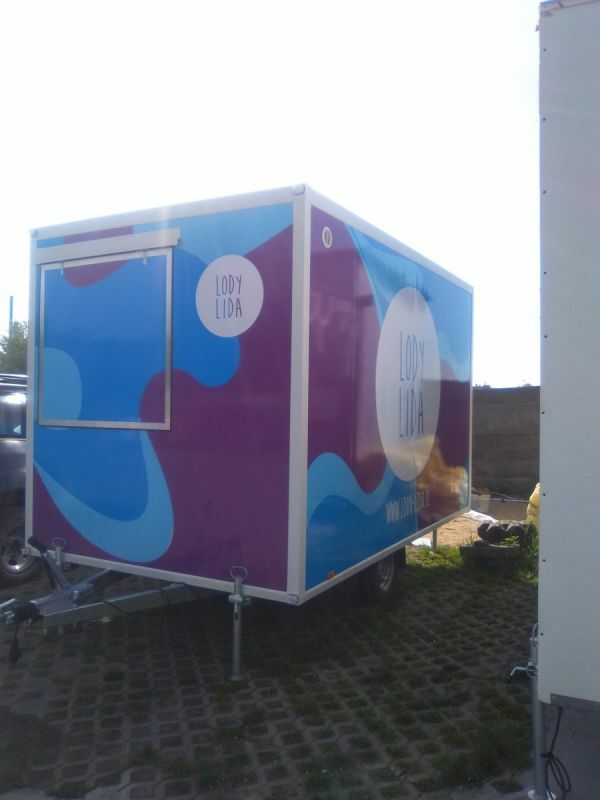 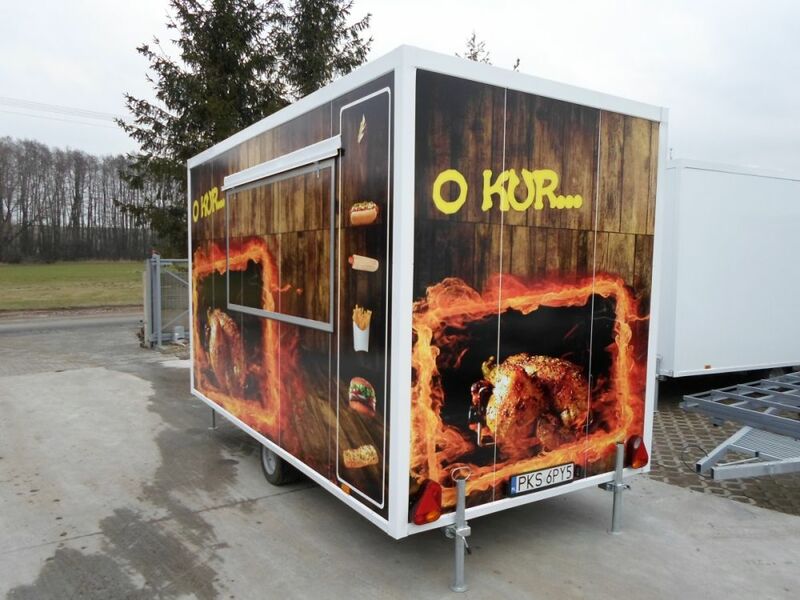 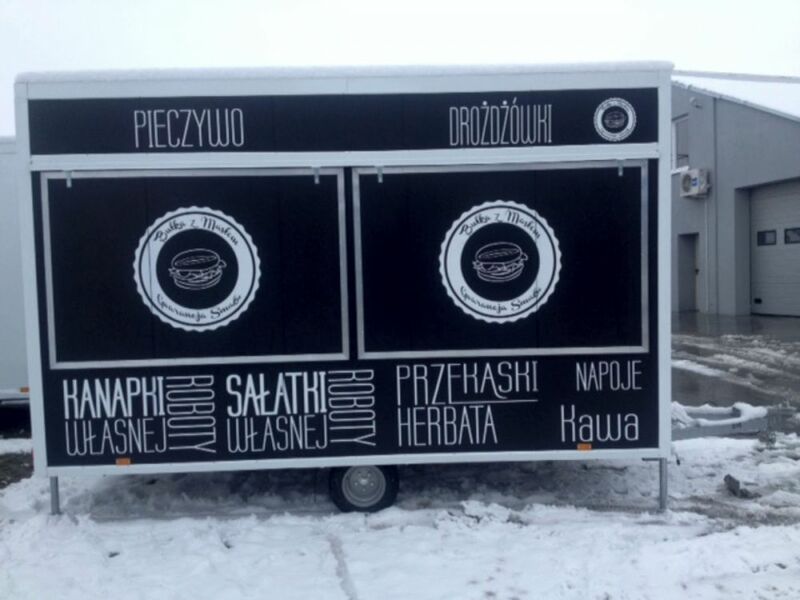 With AP-TRAILERS you will enter into the new dimension of street food. 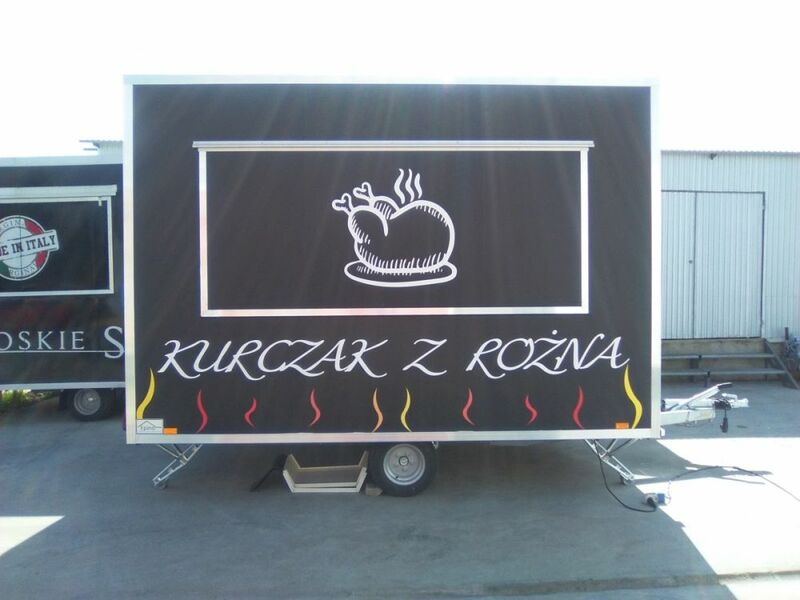 Meals that can be purchased in the street on the way to or from work, during the lunch break or an open air event do not need to be associated with a rundown, sleazy food truck any more. 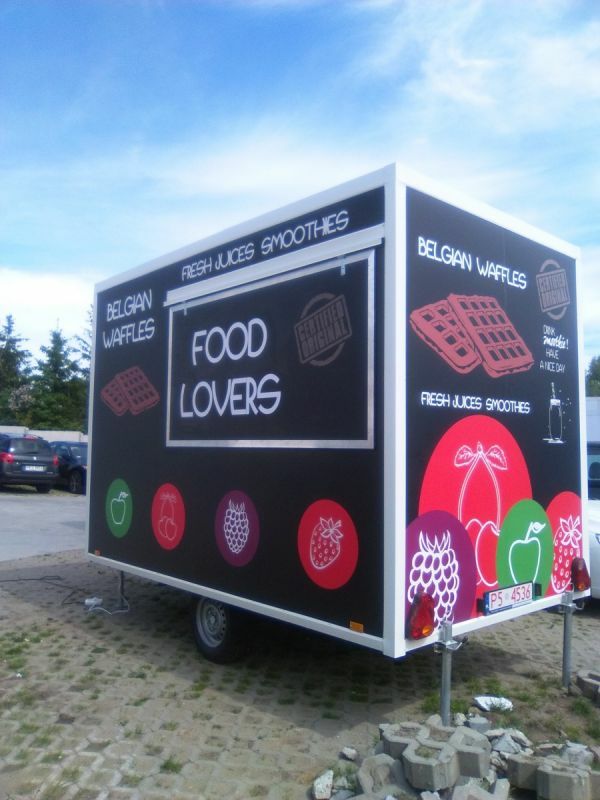 Nowadays the commonplace and very popular, but at the same time trendy food trucks offer a variety of delicious, affordable and healthy meals. 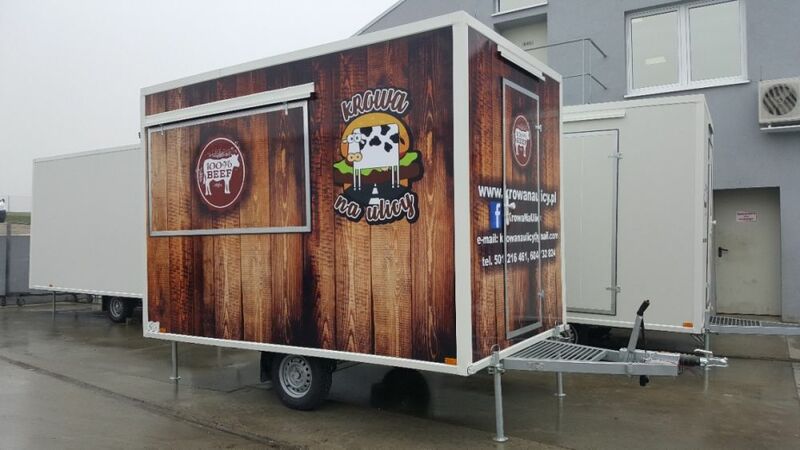 A well-equipped food truck offering freshly preapared meals is a respose to the increasing demand of urban lifestyle. 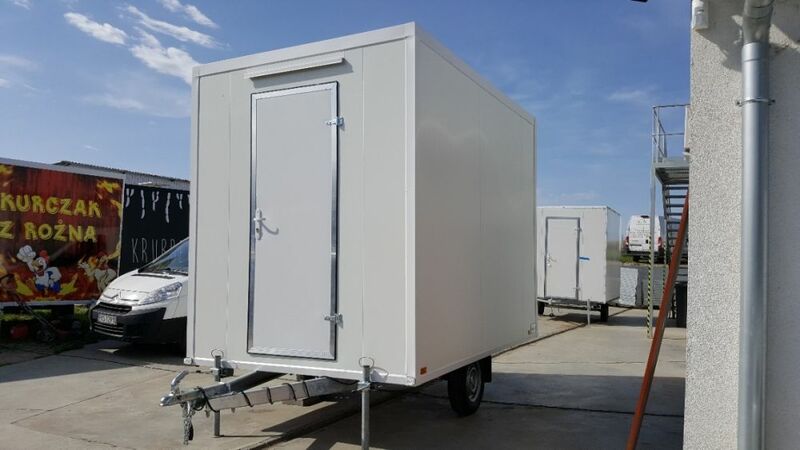 Mobile vendors significantly reduce the costs of running a firm, simply because they do not pay the rent for a commercial property and they can easily relocate if the current location is not profitable enough. 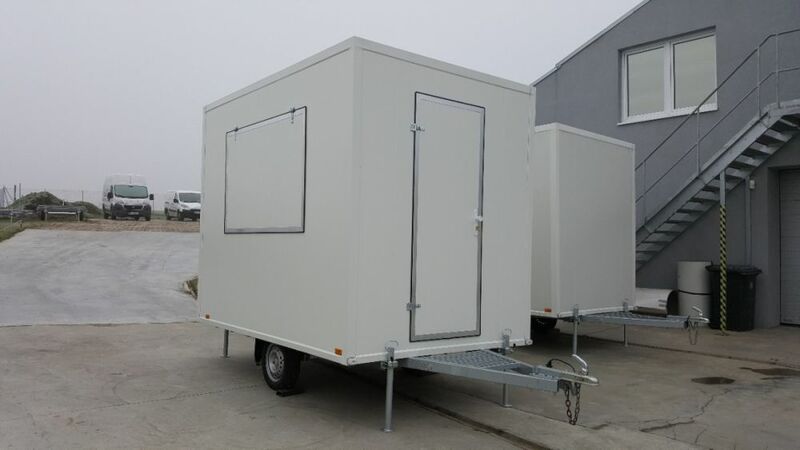 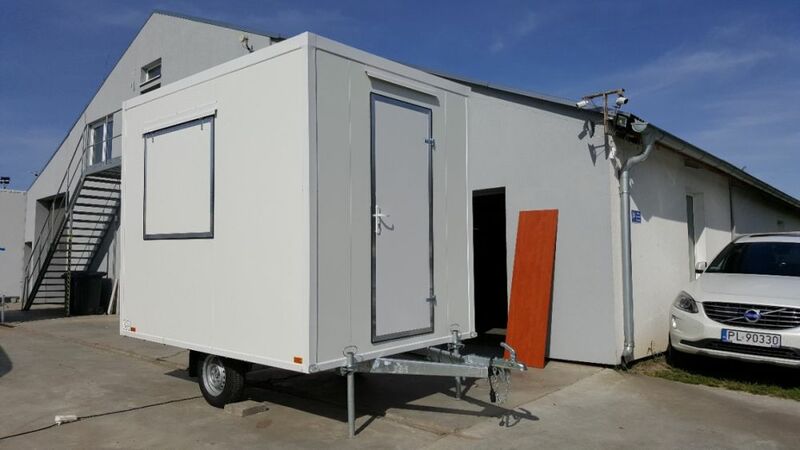 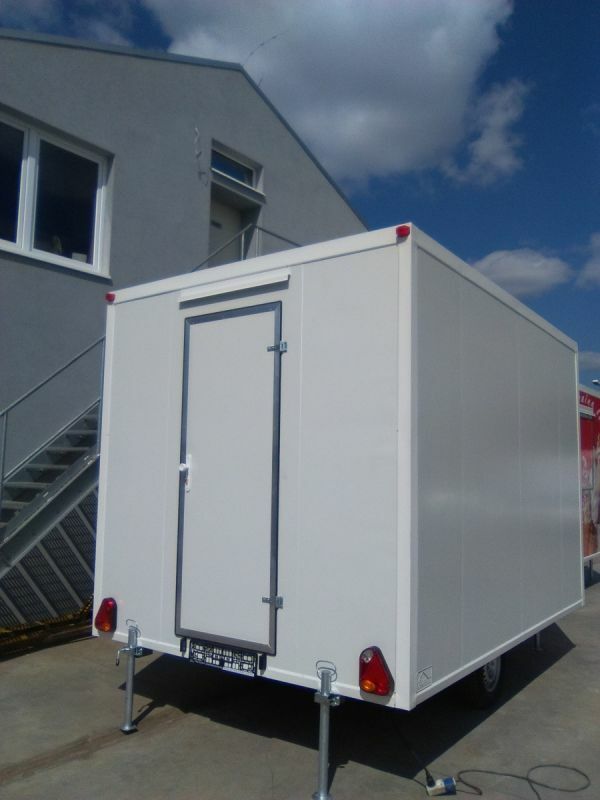 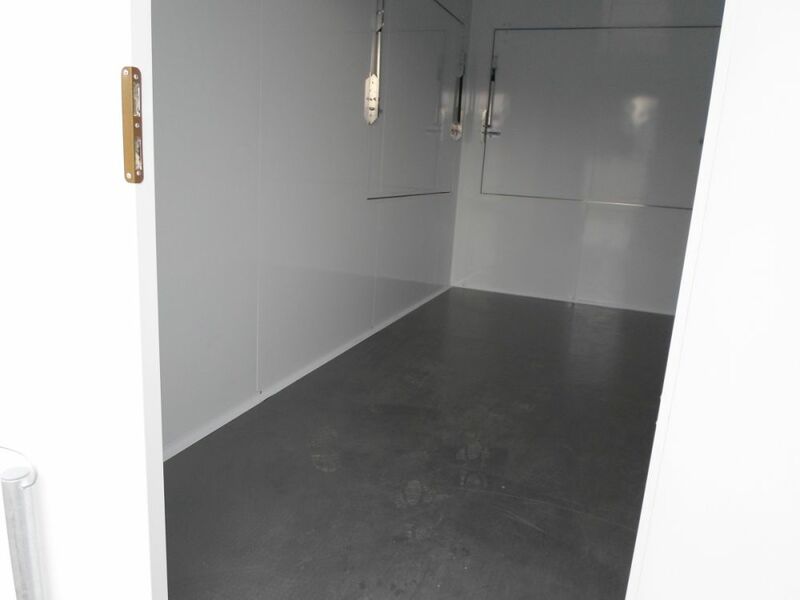 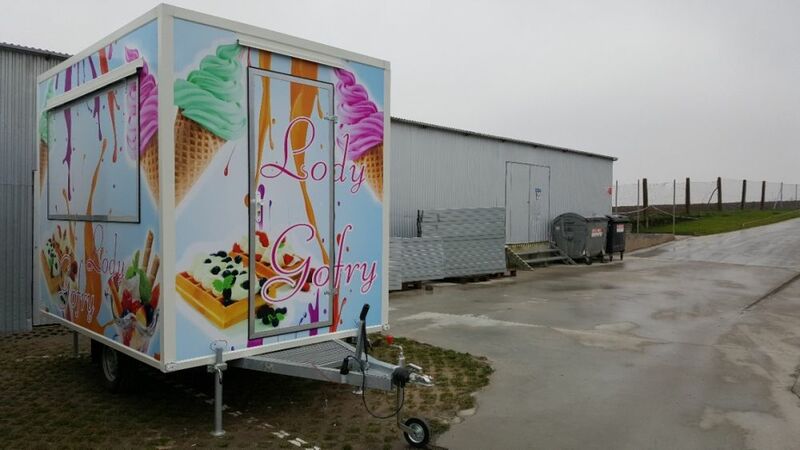 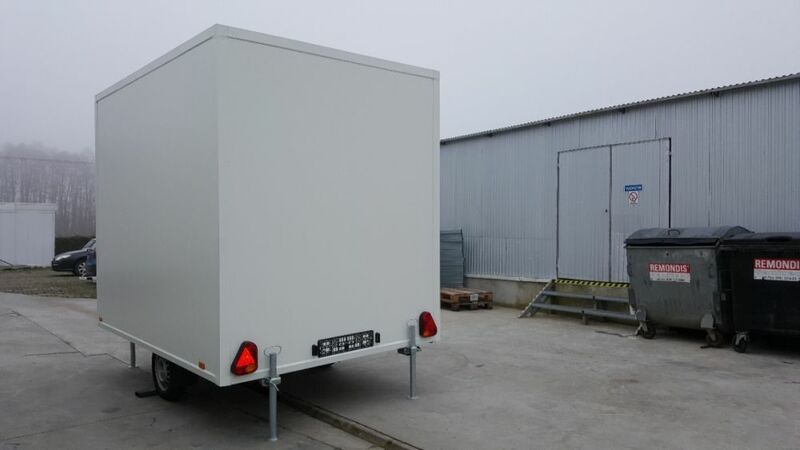 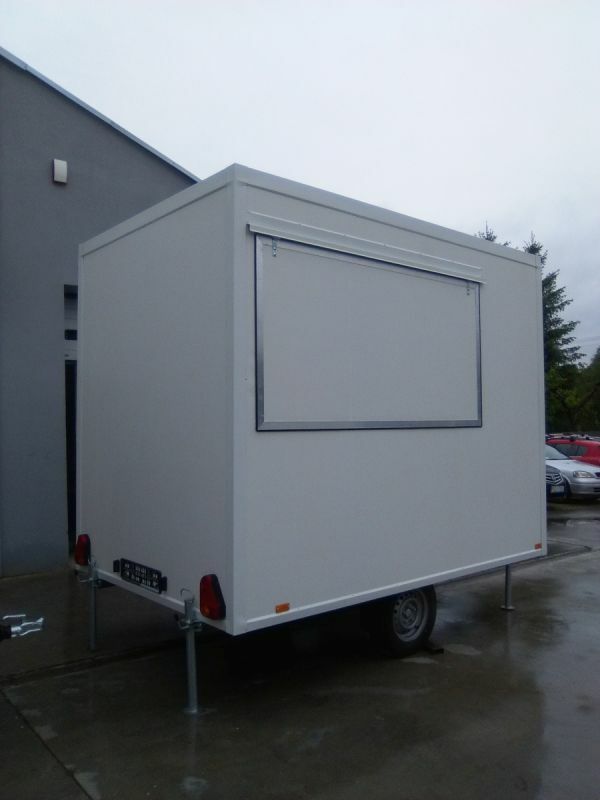 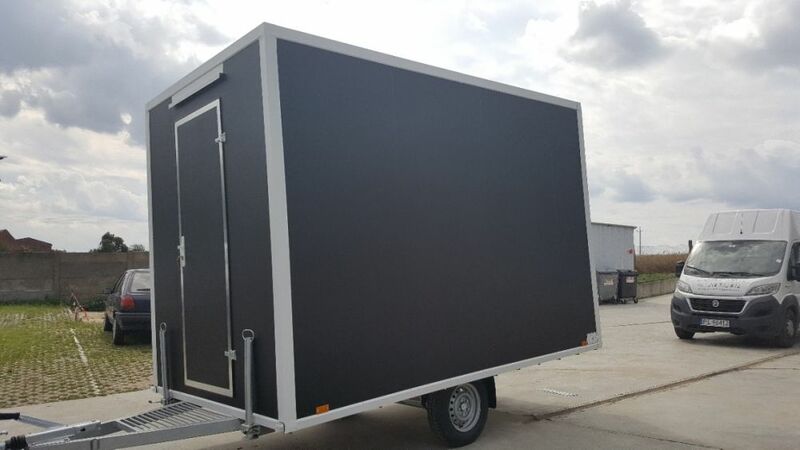 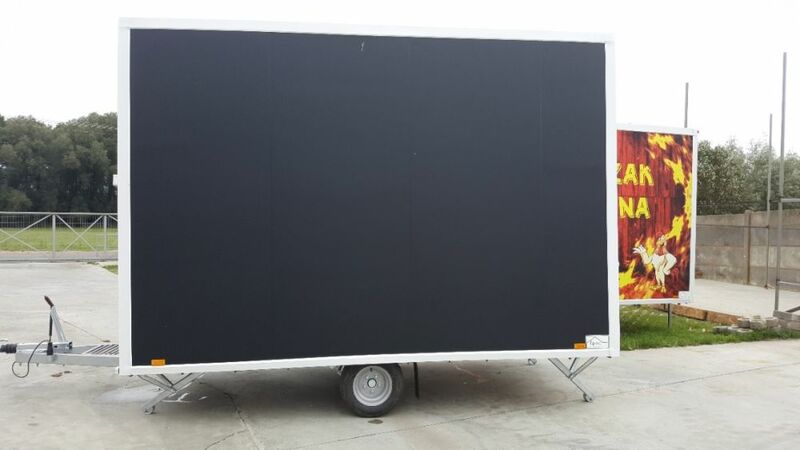 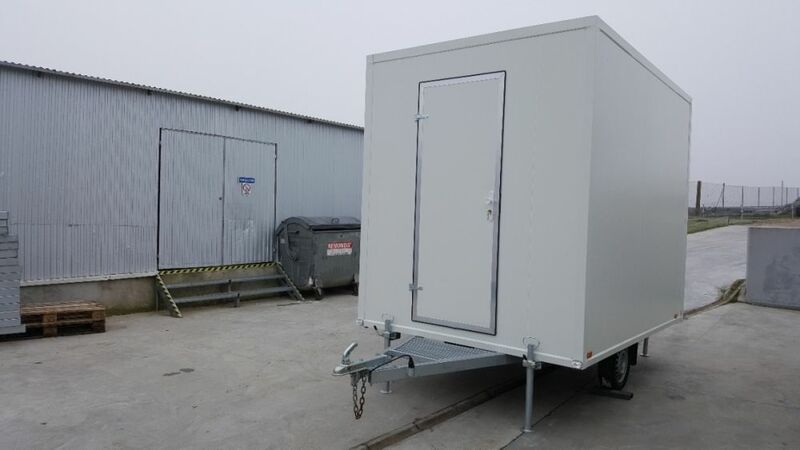 Our concession trailers are manufactured from sandwich slab or laminate thanks to which they are lightweight. 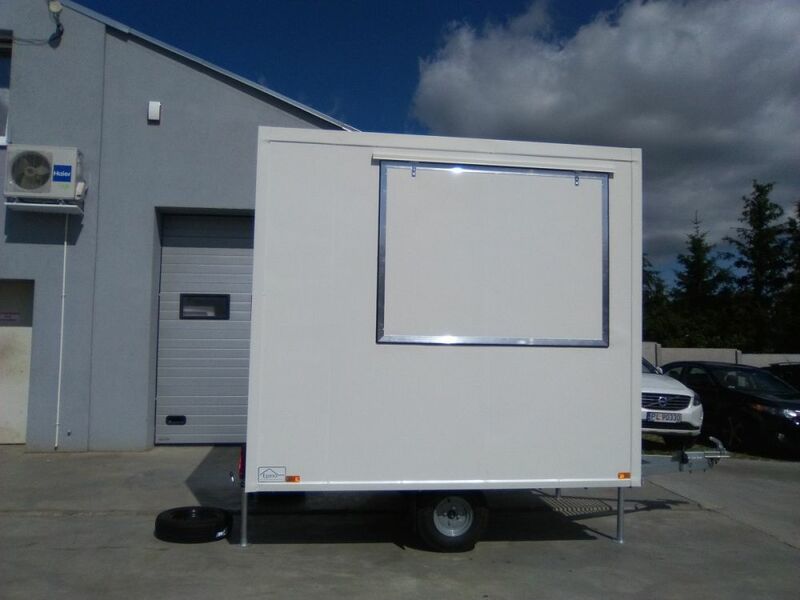 Each trailer has the necessary type-approval as well as all the required safety certification for both heating and electric units. 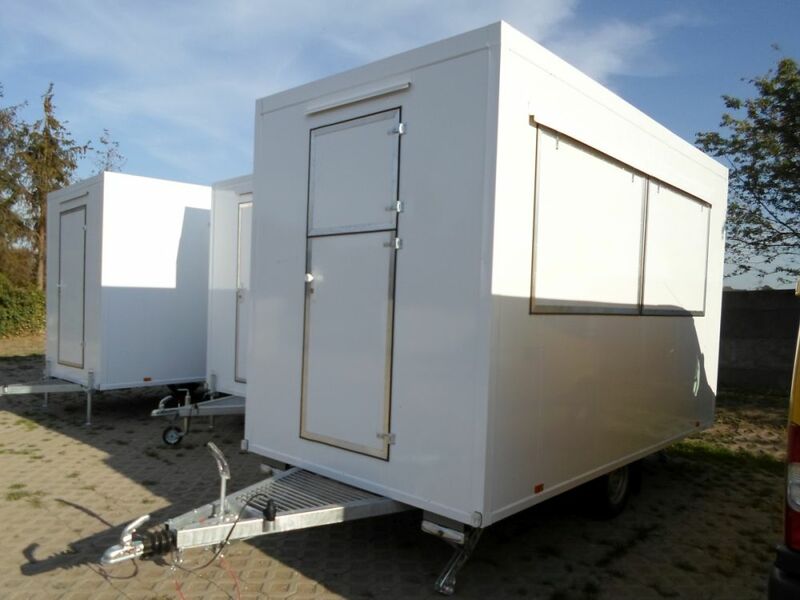 All our trailers are manufatured upon the client's individual demand. 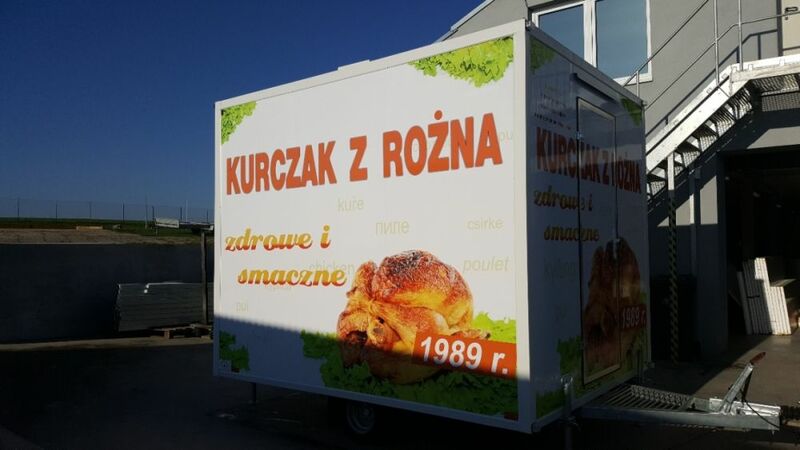 This offer is presented for information purposes only and does not constitue an offer to sell within the meaning of Article 66 § 1 of Civil Code and does not reflect the current stock. 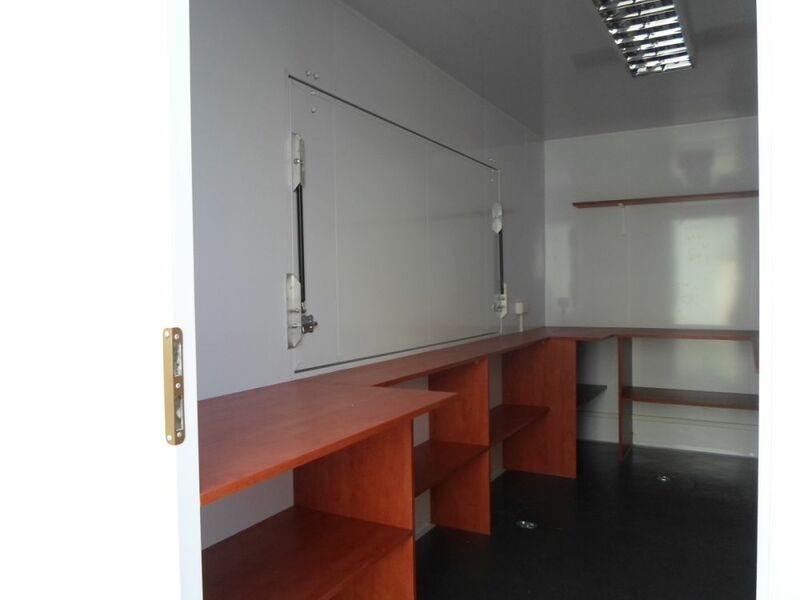 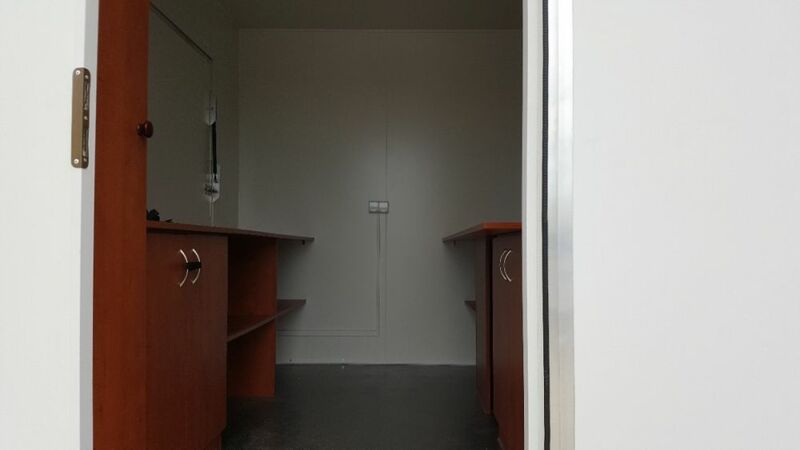 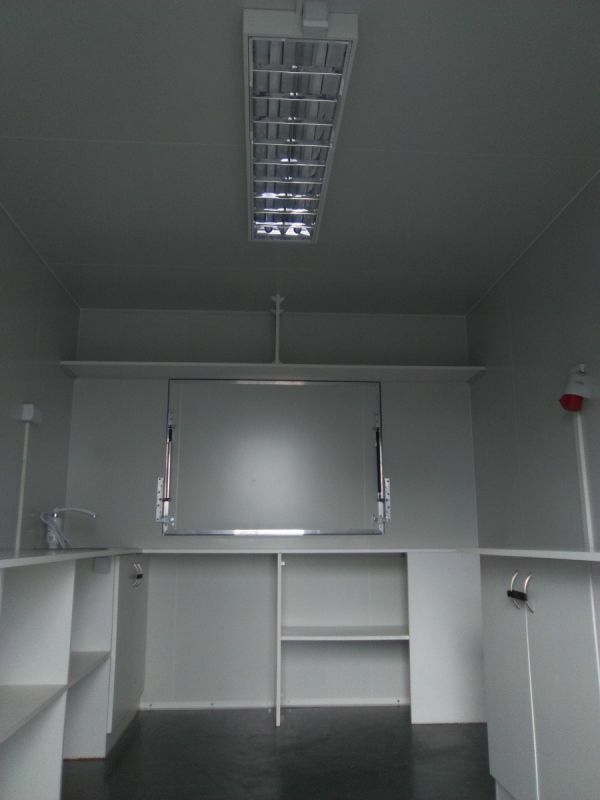 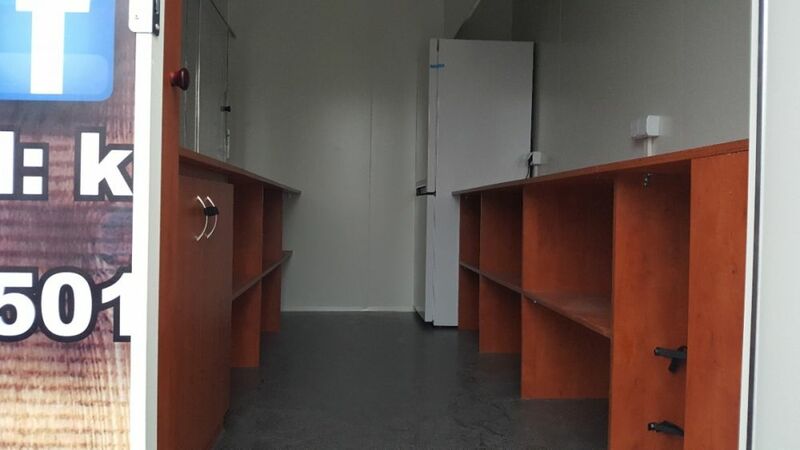 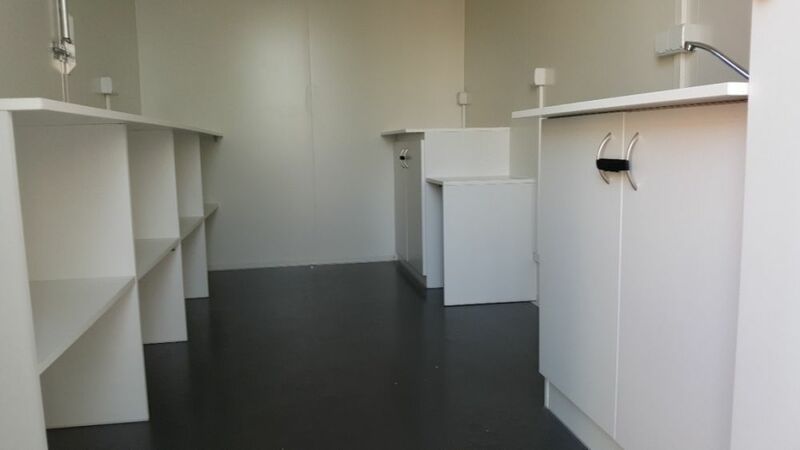 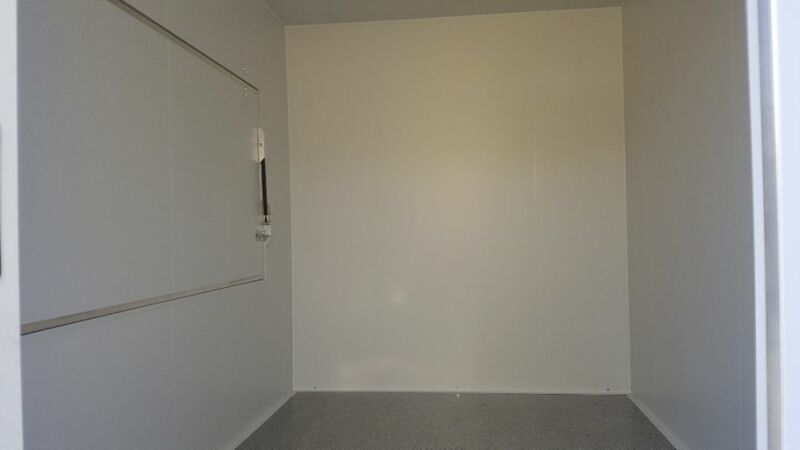 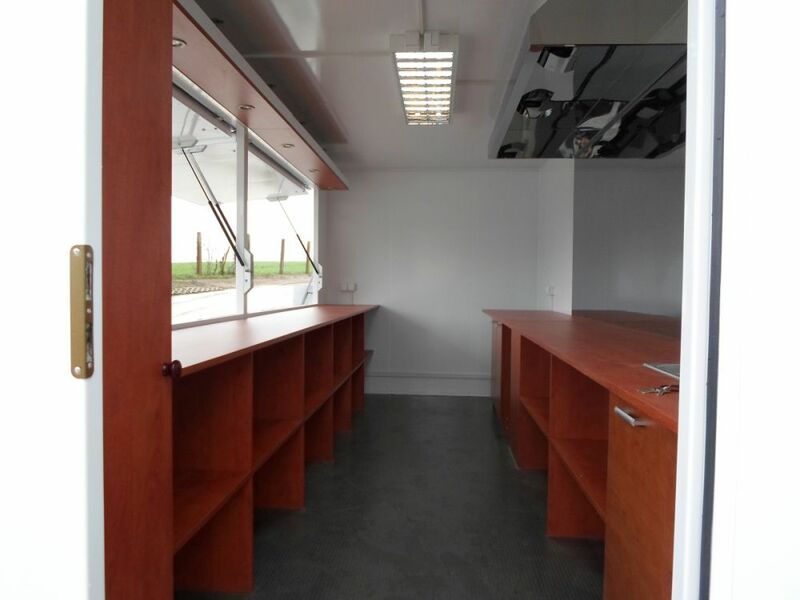 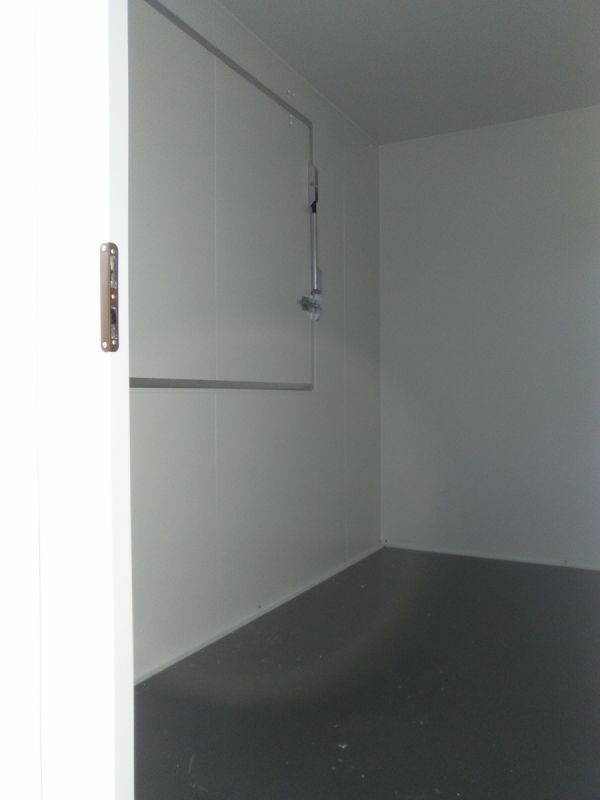 The furniture includes health and safety cupboard, sanitary area (a three-compartment sink, a pump, a preheater, 2 x 20l containers for clean and dirty water), cupboards up to worktops including 2 double-closed cupborads, other cupborads are open, electrical installation 230V, 4 x double sockets, one window, one door, 13" wheels.